treat for your family and friends. Bonus, it's super simple and quick to make! 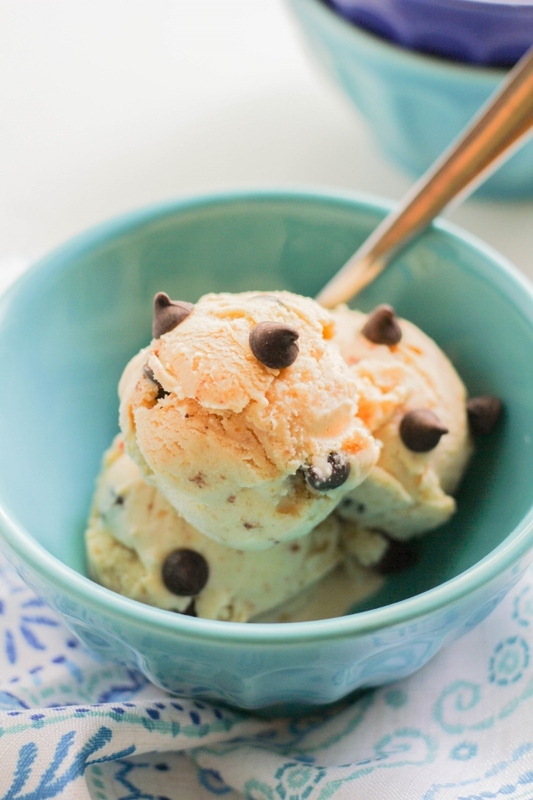 Just in time for the weekend, I'm sharing this refreshing and delicious Peanut Butter Chocolate Chip Frozen Yogurt recipe. We all know how much I love my ice cream, but frozen yogurt is another one of my favorite things. 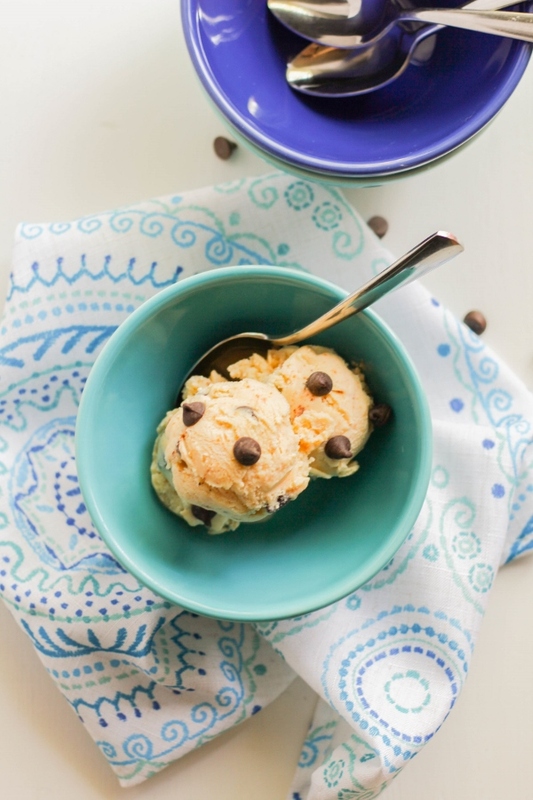 It's light and creamy and healthier than ice cream, and it's super simple to make. 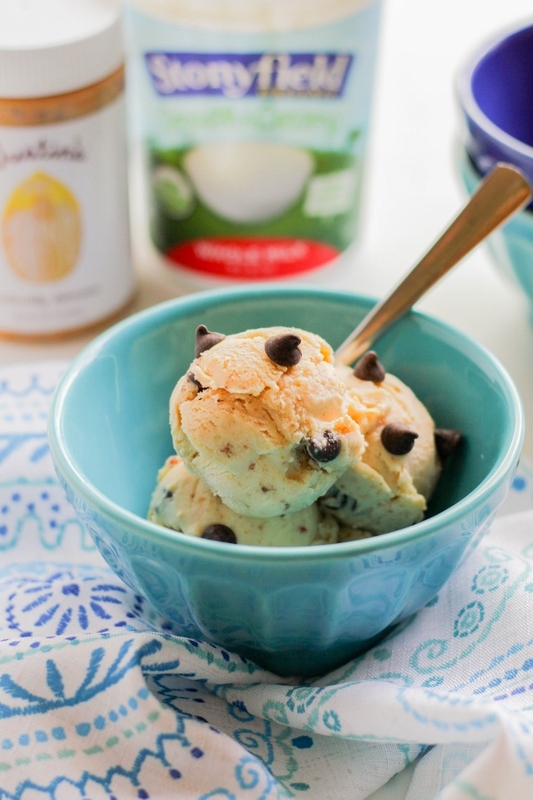 This frozen yogurt is very flavorful and extra peanut buttery, thanks to the Justin's Honey Peanut Butter I used. It's slightly sweet and even though you only use a half cup, the peanut butter flavor really stands out. This recipe calls for just six ingredients, most of which you should already have at home, and it can be ready in just over an hour. In my eyes that's a perfect summer dessert! Stonyfield Smooth & Creamy Whole Milk Plain Yogurt is perfect in this recipe because like the name says, it's smooth and creamy! It gives the frozen yogurt almost a velvety texture. Do you have a favorite frozen yogurt flavor? Let me know in the comments below! 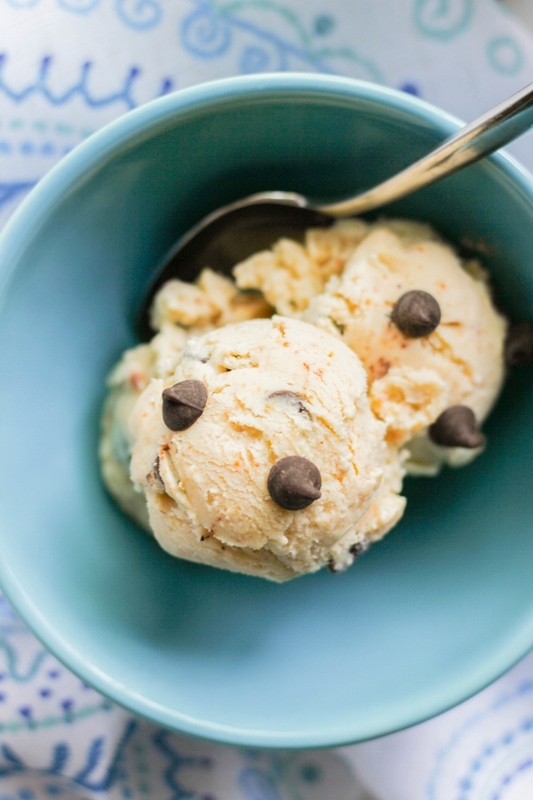 In the bowl of a stand mixer, combine all of the ingredients except the chocolate chips. Beat until completely smooth. (Alternately you can use a hand mixer) Transfer the mixture to your ice cream maker and proceed according to the manufacturer’s directions. About 5 minutes before the frozen yogurt is done, add in the chocolate chips. Pour the mixture into an airtight container and freeze for about an hour for a firmer texture. Keep any leftovers covered tightly in the freezer for up to one week. This post was created in partnership with Stonyfield and Justin's. All opinions, as always, are my own. Thank you for supporting the brands that make this blog possible!